If you were born in a certain era, you likely remember the days when snapping a photo meant pulling out your camera and winding the film along manually before taking the shot. You had no idea how the photo would turn out until days or weeks later when you finally finished the roll of film and dropped it off for processing at your local photo developing lab. If you remember that, then you likely have a shoebox at the back of a closet full of old photos; pics of your first day of kindergarten, or your child’s birth, or your parents’ wedding day – precious memories collected over the years that you want to preserve. There are several reasons why you should consider digitizing that irreplaceable box of photos. Natural disasters: In the event of a natural disaster like a fire or flood, you won’t have time to rummage through your closets looking for that box of photos to save. It’ll be much easier to grab a USB key. Wear and tear: Over time, photos don’t hold up. The corners get bent, they can tear, and the colours fade. Shareability: Once you have your photos digitized, you can share them with other family members and they can share theirs with you. Ease of storing and organizing: They’re easier to organize and catalogue when they’re digitized. And no more bulky photo albums taking up valuable storage space. 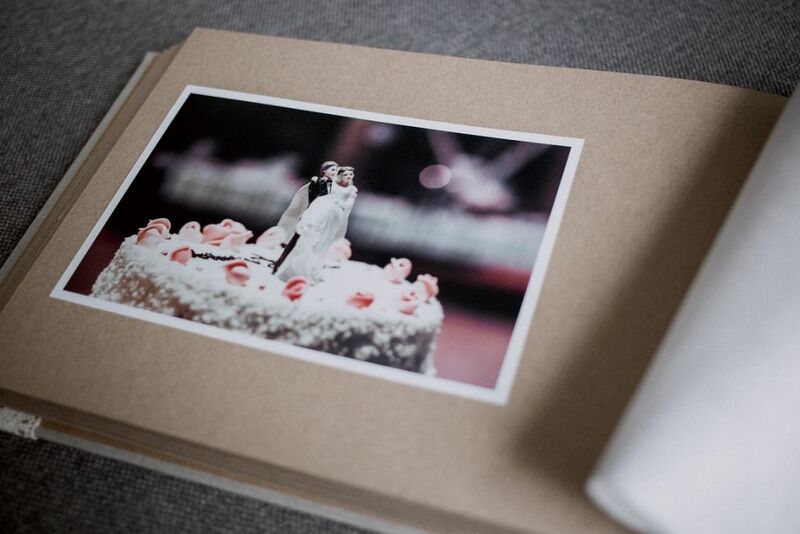 Photo books: With your digital photos you can create photo books, which make amazing gifts for family and friends. You can digitize your photos yourself (DIY) or you can use a service that takes care of it for you. Depending on how many photos you have to digitize, you’ll need a good scanner for the job. You may choose to use a flatbed scanner to manually scan your photos, or a photo scanner like this high-speed scanner or this smaller one. It may feel like a laborious task, but look at it as a nostalgic trip down memory lane. Our Photo Box Service takes the time-consuming manual labour out of the scanning process. You simply pick up a Photo Scanning Box from your closest London Drugs store, fill it with up to 800 photographs, and take it to one of our Photolabs. Then, we’ll do the scanning work for you and, within a week, you’ll receive a USB drive with all your scanned photos. You still get to sort through old photos and decide which ones to keep, but the bulk of the work is done for you. However you decide to digitize your photos, it’s worthwhile to ensure your family’s history is preserved for generations to come. Check out our full selection of scanners, or learn more about our Photo Box Service. You never think it’ll happen to you, until it does. You’ve come home to a flooded basement, or have been victim to a fire, and now realize many of your possessions are damaged or destroyed. The material things are easy to replace, but your photographs are one-of-a-kind. What do you do? Our London Drugs Photolab experts can help bring your damaged photos back to their former glory with our digital restoration service. If you’ve experienced a devastating event in your home, or your photographs just haven’t stood the test of time, let our LDExperts work their magic. They can digitally edit each individual image to bring back a little colour worn by dust and heat, fill in scratches, or restore parts of the image destroyed by mud and water damage. You’d be amazed what can be restored. Our LDExperts just ask that before bringing in photos with mud and water damage, that you wait until the mud dries, and then very gently brush off the mud as best possible. Once these photos have been digitized during our restoration process, we recommend not only making a print copy of your restored photo, but ensuring you have the digital file backed up safely as well – to avoid any damage or loss in future. Before the worst, plan with the best. Our Photolab makes it easy to keep everything from your baby photos to your wedding photos safe and sound, ensuring the longevity of all those moments preserved by a single snapshot. The first step to protecting your photos from potential loss or damage is to create digital copies of all print photos. This can be a tedious process, which is why many put off doing it, but we can take care of that. Just pick up a Photo Scanning Box at any London Drugs Photolab location, fill it with up to 800 photographs and documents (up to 8.5”x11”), and bring it back to our Photolab. We’ll do the legwork of digitizing all those photos for you, then we’ll return to you the original photos and a USB drive with all of the digital files. We recommend safeguarding your digitized photos on at least one other USB or Hard Drive, kept in different locations. Then you can sit back with peace of mind knowing you’ll have a secondary digital backup if one of the hard drives or USBs is damaged or lost. To protect those original prints, consider relocating them to a safer place in your home. For example, if you live in an area that is susceptible to flooding, consider moving your stash of photos from the basement to an upstairs room. Meanwhile if your area is more susceptible to wildfires, you could protect your most precious photos by keeping them in a fire-resistant safe in the basement. Have questions about how we can help protect your most important memories? Just speak with any of our LDExperts in the Photolab! Or learn more about our Photo Scanning Box service here. March brings the sun, the greenery, and of course the allergies! It reminds us to dust off some of that hibernation clutter that has collected over the last few months. Tis’ the season for spring cleaning! It starts with the dreaded junk drawer and ends with moving around the furniture, but somewhere in between, you’ll find that ever-growing collection of family portraits and candids in boxes or old photo albums, and like the bedroom Feng Shui, they could probably use a little TLC. Spring cleaning, organizing and maintaining your treasured snapshots is as easy as pie—with only a few steps to a lifetime of crisp (and easy to find) images. The easiest way of ensuring your photos really last, is by simply scanning and backing them up to a disk, hard-drive or USB. The Seagate 1.5TB Expansion Portable Hard Drive is a great option; it has drag and drop file saving right out of the box, and lots of room to store your photos. Running the risk of your memories cracking or becoming discoloured becomes virtually impossible- and clutter free! Make this process even more efficient with our Photo Scanning Box – preserving childhood memories or historic family images has never been easier. Fill the FREE photo box (found in-store or online) with up to 800 photos or documents, return the box to a London Drugs Photolab, prepay and our LDExperts will do the rest. 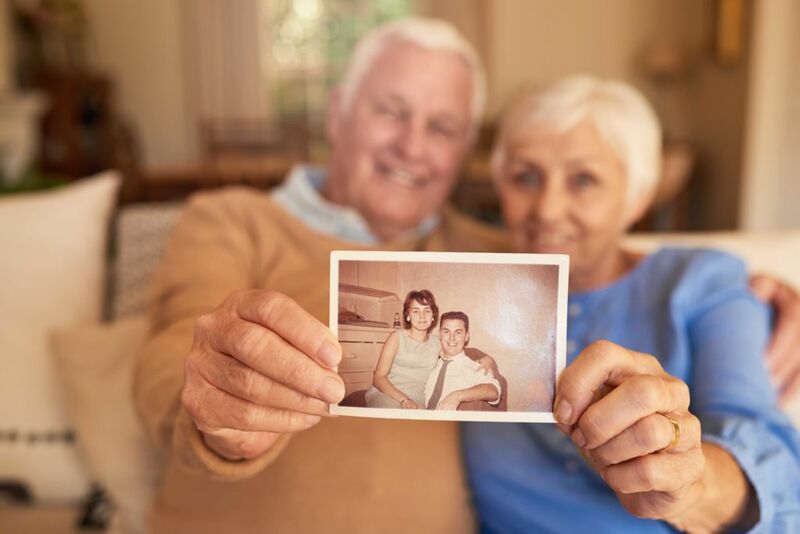 They’ll digitize your keepsakes at high resolution, then return the hard copies to you, along with a USB drive full of all those photos you hold dear. Once you have those digital copies, you’ll want to make sure they’re backed up safely. To avoid losing all your precious photos due to a fire or flood, power surge or hard drive failure, it’s best to use the 3-2-1 back up rule. With 1 copy located off-site. For example, you could store your photos on two hard drives and on the cloud (a service like iCloud), and take one of those hard drives and store it at your parents’ home. That way, even in the worst case scenario that one or even two of your storage methods fail, you’ll still have a failsafe copy. Of course, after making digital copies, you’ll need somewhere to store the originals – it’s important to take necessary precautions in order to avoid misplacement or damage, and it helps to keep them organized. Cotton gloves: Oily residue naturally found on your fingertips can lead to deteriorating your photos. Avoid this by handling documents with a pair of gloves. Soft lead pencil: Including the date, year, or name on the back of a photo is a must when organizing your photos, because you’re not always going to remember if you took that photo in ’86 or ’87, or who that person third from the left is. Make sure you’re using a pencil that isn’t permanent so it doesn’t harm or indent the photo—never use a pen! Photo-safe storage box: A good quality storage box with labelled index cards can make a world of difference, in the event that you’re looking for a specific photo. It sure beats rifling through old shoeboxes and drawers! Perhaps the most important thing to remember is all while going through old photos is to obey the two-second rule. It’s okay to take a walk down memory lane—but it’s important to prioritize your time. Spring cleaning doesn’t need to take the entire season. When cleaning and organizing your old photographs, remember not to linger longer than two seconds before determining its place. You’ll have plenty to enjoy them after they’re organized! A single photograph is capable of speaking a universally understood language: freezing an exact moment and feeling in time. That big box full of vintage prints has been passed from generation to generation, but they’re not as vibrant as they once were. Now they live in your attic… how will you continue to preserve them? Light, heat, and humidity can damage or even destroy what was documented long before the age of memory cards, Instagram and Facebook. If you have photos taken between 1936 and 1990, those are especially in danger of fading. The processing used during that time causes them to degrade faster. Digital restoration is only possible to a certain degree, so preserving those photos should be a top priority. Digital duplication and restoration is one of the easiest ways to ensure all of your family vacations, birthday parties and anniversaries withstand the test of time. With our Photo Scanning Box, preserving a legacy is a painless, one-step process. Fill the box with up to 800 images and have them returned along with a USB flash drive full of virtual copies, yours to recreate, edit, or redistribute. Back them up on any or all devices at home or work, and never fear another year in a dusty shoebox. Check out more information on our Photo Scanning Box here! If spider webs aren’t a bother, or if you’re a pro scrap-booker with a glitter glue collection even Martha Stewart would envy, knowing how to protect those hard copy prints is of the utmost importance. Storing your photos in folders or files meant for archiving is a tried and true solution to keeping your wedding pics crisp. Before moving your prints and Polaroids to their new, and likely, permanent home, wipe the surface of each photo with a clean cloth to remove any residue or dust. Even better, wear a pair of gloves as you handle the photos, to avoid leaving oily residue on your snaps. Whether you’re planning to store or showcase your photos, there are two things to remember when choosing a spot: the room should be weary of traffic; avoid well-used living areas and hallways, out of harm’s way and greasy fingerprints, and be cautious of the room’s average temperature. Areas that are typically warm with a lot of natural light is a big no-no: big bay windows will wash out color, leaving them dull and muted, and humid attics will crack, ripple, and curl the edges of the photo paper. For walls that look a little bare, you could also consider putting your memories on full display. Best practice is to showcase them behind framed glass, where smiles stay white, and holiday sweaters will stay a festive shade of traffic stopping red. When you order your next prints from our Photolab, you’ll be able to choose a frame to match. 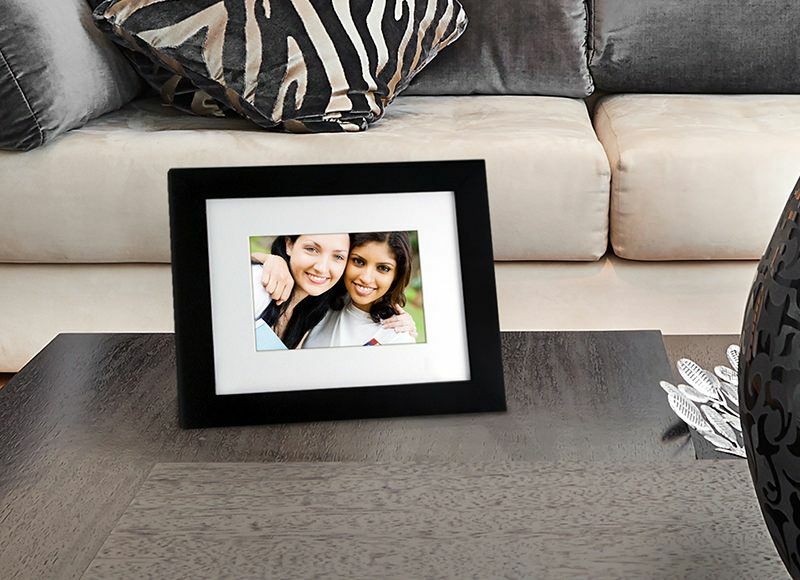 Personalized and protected, your photos will be a lasting statement piece in your home. Prints on aluminum metal panels are also a great choice. They’re fade resistant and super modern: a look that will liven up any home, and will last for a lifetime. Photographs tell your story. Let that story be shared and protected for future generations.